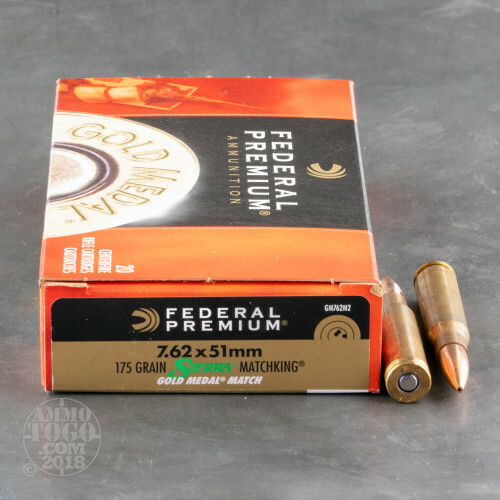 This 7.62x51 cartridge from Federal’s Gold Medal line of rifle ammunition features Sierra’s 175 grain MatchKing projectile. The MatchKing is designed for heightened accuracy in every way, starting with its extremely thin jacket which is drawn to a precise concentricity standard of three ten thousandths in maximum variation. This bullet’s hollow point is not designed to deliver expansion after impact, but the narrowness of its meplat permits it to positively dissect the air in front of it. The MatchKing further features a boat tail design which raises its ballistic coefficient, and accordingly maintains a great portion of its velocity even after having traveled long distances. Its meticulously crafted bullet isn’t the extent of this round’s superior features. 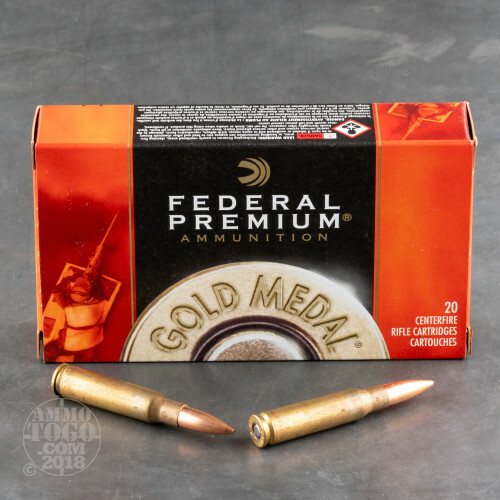 Its benchrest quality Gold Medal primer assures reliable ignition as soon as it’s struck by a firing pin, and its specially formulated propellant creates the optimal chamber pressure for its caliber. 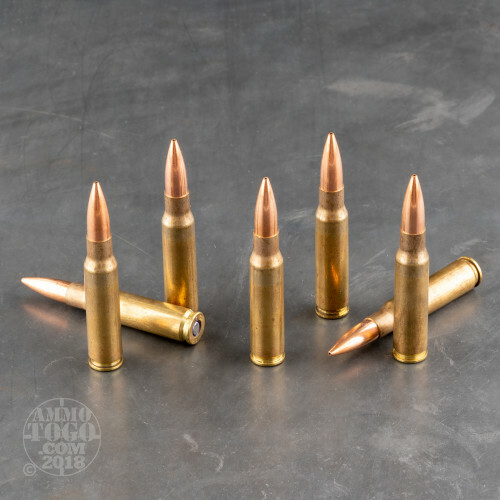 This round’s brass casing is created by Federal right in their own factory, and can withstand a trip through your rifle’s chamber on multiple occasions. Reliability is not an issue and accuracy is much better than you can expect for the price, or any price. 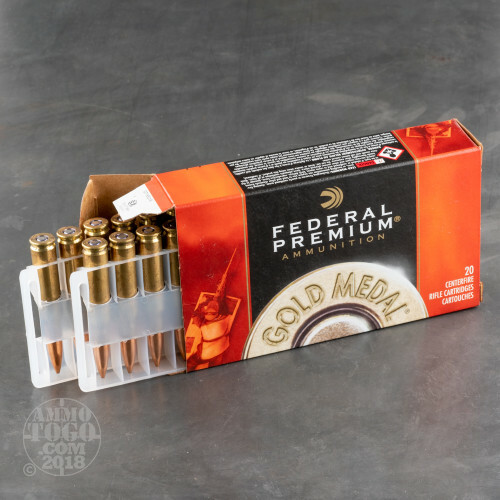 At twice the price, for some other 'match ammo' your gun could easily shoot better with the Federal ammo. This is my new AR-10 match ammo. Come to think about it, at this price I might make it my only .308 ammo. Like it won't take deer at 275 yds. really good factory load. best i have found through my sig ar-10. But this is more accurate out of the box than I have been able to make my hand loads so far. This ammo was the difference between night and day. shooting,cold barrel shooting etc.This is it!